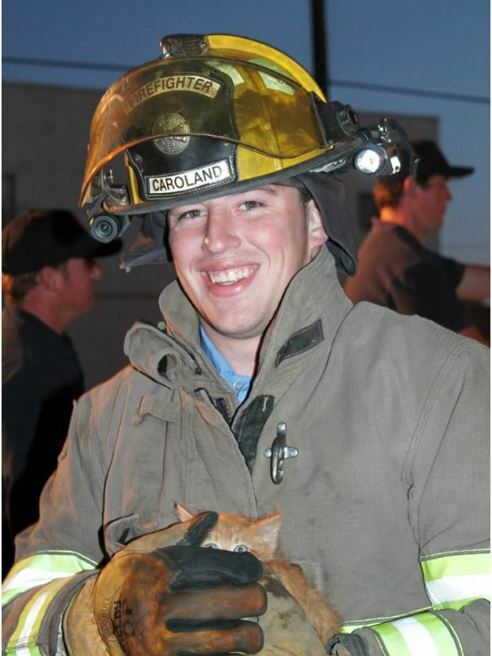 Two little kittens were fortunately saved by local firefighters in New Mexico. The kittens had been trapped, motherless, for a number of days on top of a cinema when they were spotted by a local and the fire brigade were alerted. Had they had been left they much longer they would have drowned in the standing water. It was believed that the water was the cause of their mother abandoning them. The two orange kittens were shaken, hungry, but otherwise ok and are now being cared for by Cindy’s Hope For Precious Paws in Clovis, New Mexico. Let’s hope they soon find a forever home.